AC synchronous motors are the workhorses of industry. 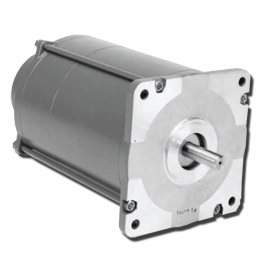 With synchronous motor technology, speed is directly proportional to AC input frequency – for example, at 120 Vac, 60 Hz, an AC synchronous motor will turn at 72 rpm. This speed can be varied by varying the frequency, although most applications simply use gearing or a belt- or chain-drive system to achieve the desired load speed. 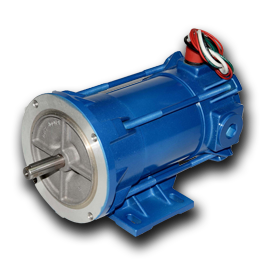 Kollmorgen offers a comprehensive range of AC synchronous motor products including continuous torque, high torque and hybrid options to meet a wide range of application requirements. Our synchronous motors offer many advantages, including the ability to start within 1-1/2 cycles of the applied frequency and reach full synchronous speed within 5 to 25 milliseconds. They can also stop within 5 degrees of rotation and reverse equally rapidly. 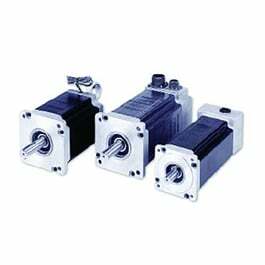 Kollmorgen offers two families of AC synchronous motors in the ST/SN Series and KS/SS Series. High performance motors in these series are offered in NEMA 23, 34 and 42 frame sizes, with two- and three-phase models available in each size. Resistor-capacitor kits are available for operating two-phase synchronous motors from a single-phase power source. We also offer hazardous duty AC synchronous motors, certified to UL Class I, Division 1, Group D; UL Class 1, Division 2, Groups E, F and G; and ATEX standards.